Few Europeans have influenced the international jazz scene as impressive as the Hungarian-born guitarist Attila Zoller. Born on 13.06.1927 in Visegrad, he was four years old when he got his first music lessons. From 1948 to 1954 Zoller lived in Vienna and worked regularly in the local jazz scene. Then he moved to Germany, worked with Jutta Hipp, Albert and Emil Mangelsdorff, Oscar Pettiford, Kenny Clarke, But Shank, Bob Cooper and Lee Konitz. In 1959 he moved to the United States, where he studied with Jim Hall and visited the Lenox School of Jazz with Ornette Coleman and Don Cherry. That is where Zoller first was exposed to freer jazz. 1960 Chico Hamilton took him into his band. Then he played on the international jazz scene as a sideman of Stan Getz, Benny Goodman, Herbie Mann, Herbie Hancock, Sonny Rollins and Ron Carter. His album "Beyond The Horizon", released in 1965, became a milestone between Cool and free jazz playing. This was followed by famous LPs like "Zoller Koller Solal" or "Zo-Ko-Ma" (1968). Regularly Attila Zoller also appeared in Europe, especially in Germany, where he was awarded with the “Golden Bear” at the Berlin Film Festival for his lyrical soundtrack to Heinrich Böll`s "The Bread of Our Early Years", together with Joachim-Ernst Berendt (Director: Herbert Vesely, 1962, production: Hansjürgen Pohland). In 1966 he wrote the sensitive music for the film version of Günter Grass's novel "Cat and Mouse", directed by Hansjürgen Pohland, 1967 also for the crime film "Tamara", directed by Hansjürgen Pohland and based on a novel by Hansjörg Martin. The three films were produced by Hansjürgen Pohland, a pioneer of the New German Cinema and sole Oberhausen Manifesto signatory from Berlin. Jazz fan Pohland chose Zoller personally and commissioned him to compose and improvise the film music. His "Bread of Our Early Years" symbolized the false comfort of the German Adenauer Republic and became the first milestone of the “Oberhausener”. As a director, he thematized the German enthusiasm for the war in "Cat and Mouse", with the actors Lars and Peter Brandt (sons of Willy Brandt), and put the Knight`s Cross in the center. The moralists were snubbed and the film caused a full-blown scandal. Besides the radical new imagery, his semi-documentary crime film "Tamara" contained clear references to social criticism. The music for Pohland`s movies was played by Zoller and his sidemen directly in front of the screen and recorded by technicians. Before the tapes should disappear for almost five decades, Pohland used them for post-production. It is thanks to Berlin-based photographer, actor and jazz lover Jan George that the recordings are not lost. Although Pohland archived the tapes at first, they were later left as garbage on the road by transporters who moved his stuff from Berlin to Munich. There the reels were discovered by Pohlands friend Jan George, who kept the treasure in his crates until the digital transfer in 2012. Under completely different conditions Attila Zoller should record two of the three soundtracks once again. Already in 1962 the Viennese music producer Hans Wewerka secured the publishing rights to "The Bread of Our Early Years" and reproduced some excerpts from the film music within the same year . For this occasion Zoller played alongside Carlos Diernhammer (piano), Helmut Csucovits (bass) and Rune Carlsson (drums). As a special edition a vinyl EP was made from the recordings, for guests of the 15th International Film Festival in Cannes, where the film premiered. Joachim Ernst Berendt was so thrilled about Zoller's music for "Cat and Mouse" that he had to repeat the recordings in December 1966 in New York with American sidemen, among them the young Ron Carter on bass. 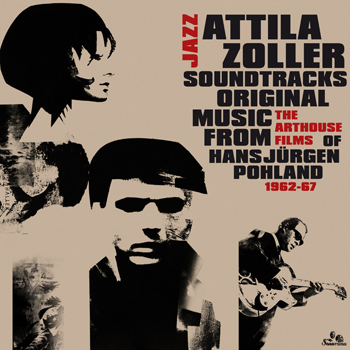 Although by no means "original", these sessions were released as an album in 1967 under the name "Attila Zoller - Original Soundtrack Cat + Mouse". The LP on the label "Saba" included four variations on the main theme of "Cat and Mouse" as well as two tracks, that have emerged independently during the New York sessions. In 1972, Attila Zoller founded the renowned jazz school in Vermont, which he directed personally until his death on January 25th, 1998. He was the first jazz guitarist, who investigated the field of "free" or "avantgarde playing" in a serious way. As a teacher and mentor for many guitar students (including Pat Metheny), it was important to him to preserve the art form of jazz guitar. In 1995 he received a Lifetime Achievement Award from the New England Foundation for the Arts. In 2002, the magazine "JazzTimes" listed him among the "10 most underrated jazz guitarists of all time". In April 2012, a "Guitar Summit" took place in Vermont Jazz Center as a tribute to the music of Attila Zoller, under the direction of his close friend Don Friedman. New versions of Zoller compositions, performed by companions and admirers are currently announced on the Internet for a planned tribute album. 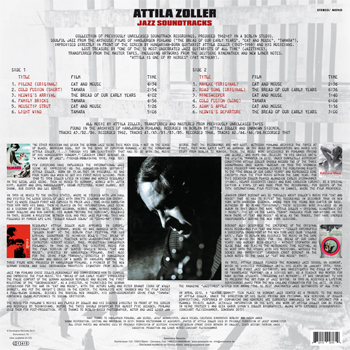 Detailed information on the life and work of Attila Zoller can be found in Heinz Protzer`s and Geza Gabor Simon`s Zoller biographies, along with extended discographies.